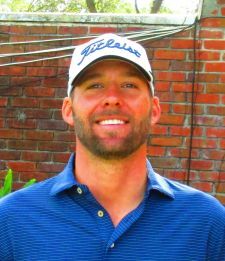 WELLINGTON, Fla. – Nick Latimer of Cleveland, OH, birdied five of his last eight holes Monday to pull out his seventh victory on the Minor League Golf Tour. Playing the West course at Wycliffe Golf & Country Club, Latimer scored a seven under par 65 to win by three shots. After three birdies on the front, Latimer bogeyed the par-4 10th hole, then birdied Nos. 11, 12, 13, 15 and 17, the last two being par-5's. This was his first triumph since two wins in three days in January. He received $850 from the $4,655 purse and an additional $210 from the optional bonus pool, raising his career earnings to $29,260 since November, 2009. Kevin Talty, an amateur from East Williston, NY, was second at 68, his best finish since joining the MLGT in January, 2015. He recovered from a shaky start of bogey-birdie-par-double bogey by closing with four birdies on the par-37 back nine. 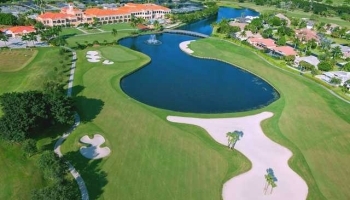 The MLGT’s second Major of its 15th season is scheduled Tuesday and Wednesday at Abacoa GC. Based on a minimum of 65 entries, the winner will receive $10,000. There are 82 players scheduled to compete.